Annually the Town Manager develops and proposes a municipal budget. The Board of Education constructs and proposes a budget for the school system. The Town Council owns the responsibility for balancing the needs of the town with the tax levels for the residents. The only portion of the overall budget which the residents are permitted to vote approval or rejection upon is the School Budget. That segment, however, has the greatest influence on the overall town budget. Your property taxes are the primary revenue source for the town budget. 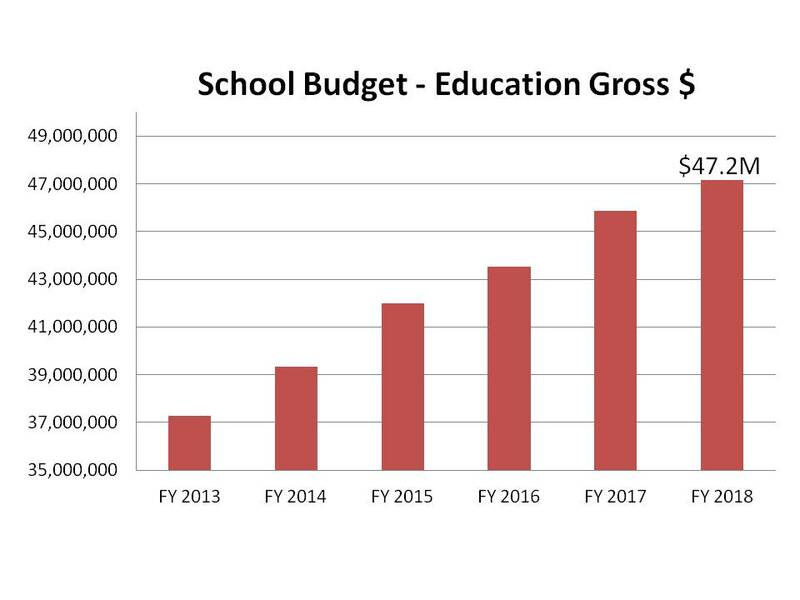 Here is a top level view of the school budget with ~5% annual growth. The values used for this graph are termed 'Gross' as it includes operating expenses and the expense for school debt service. Official State of Maine records show a steady decline in the number of students.